Beth is Founder-Director of the Desirability Lab and a senior teaching faculty at Harvard John A. Paulson School of Engineering and Applied Science and the Harvard Graduate School of Design. Her research and teaching focus is on quantifying design desirability, user interface design, personalization analytics, and learning design. 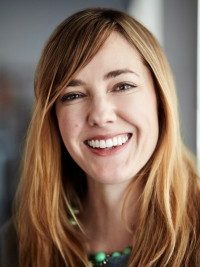 In recent years, Beth led design research for Piaggio Fast Forward (an award-winning robotics startup), founded the Flavor Genome Project (mapping the sensory, chemical, cultural and emotional experience of flavors), and created Fix the Dish (a consumer game to learn to solve flavor challenges).